Kodak single vision lens is now available in Malaya Optical . Kodak single vision lens offered a variety choice of materials from conventional plastic through 1.74 index lens which is the world thinnest plastic lens material. 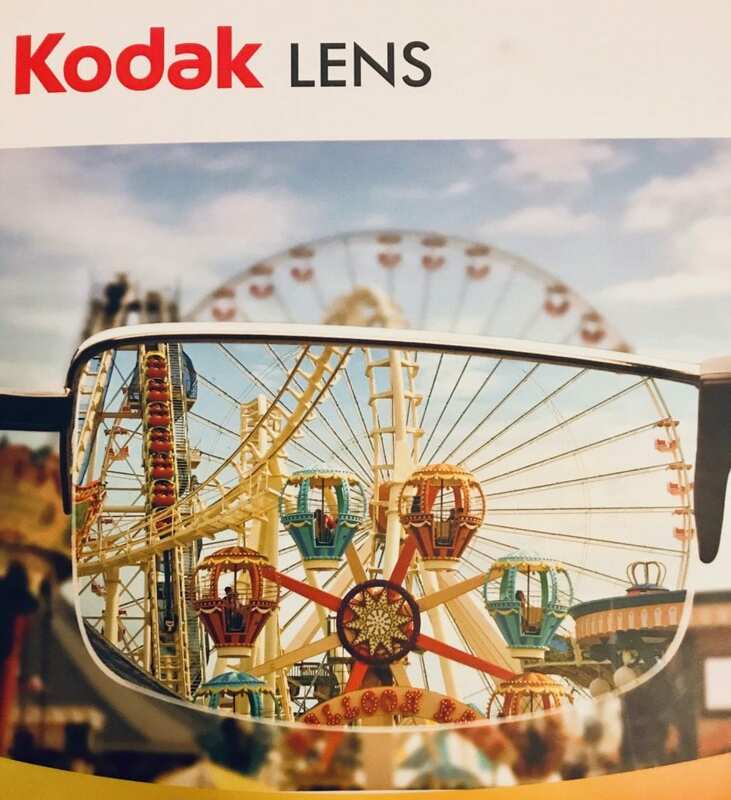 All Kodak single vision lens in Malaysia which is available in Damansara Uptown and Subang Jaya outlets can be enhanced with many different coatings ranging from anti-reflection coatings to UV reacting sun lenses which is widely known as Transitions lens. In other words, Kodak single vision lens is able make a lens that suits your lifestyle. Kodak Clean ‘N’ CleAR coating is a high performance HMC+ coating lens. This coating makes the lens surface smoother and with this, small particles and impurities are inhibited from adhering on the lens. In other words, Kodak Clean ‘N’ CleAr are 10 times easier to clean than other traditional lens coatings. 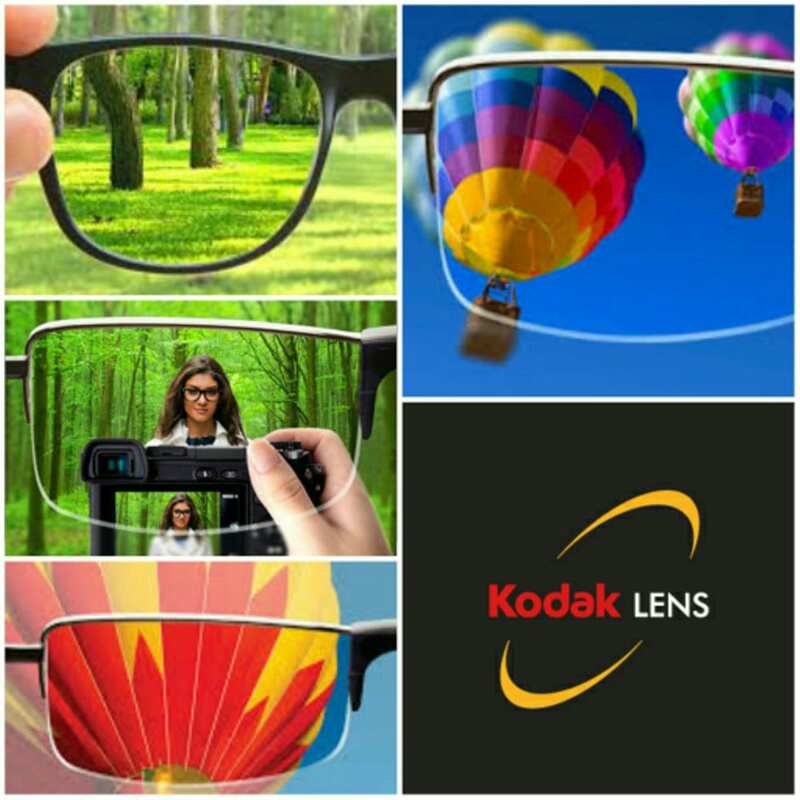 High performance and great looks come together with Kodak Clean ‘N’ CleAR lens coating. The top coat has the properties of repelling dirt, grime and fingerprints that make cleaning easier. Besides that, Kodak Clean ‘N’ CleAR is highly anti reflective which allows 99.6% of all available light entering the eyes. Thus, annoying reflections are eliminated and provides wearers with clear and bright vision. 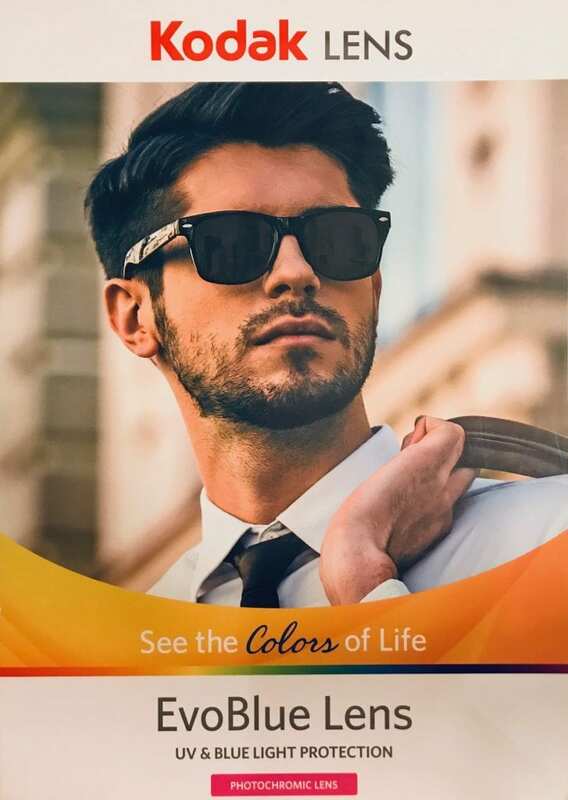 Kodak UV Blue lens takes a sophisticated approach to blocking UV rays and high energy blue light from entering our eyes. Blue light are usually coming from digital screens which eventually will contribute to Age – related Macular Degeneration. Kodak UV Blue lens provides protection from damaging UV rays and harmful energy blue light without altering or distorting colour perception. Kodak EvoBlue lens helps protect the eyes against harmful UV and blue light in both indoors and outdoors. Kodak EvoBlue coating adapts quickly from being clear indoors to being fully dark in bright sunlight outdoors. It protects against harmful blue light from digital devices and UV rays from the sun. 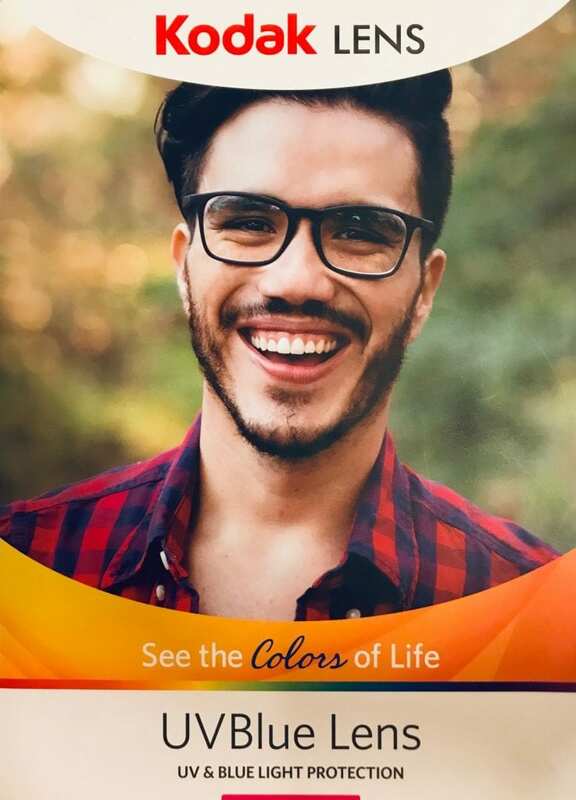 In short, Kodak EvoBlue lens has all the advantages of a traditional photochromic / Transition lens but with additional built-in blue light protection.